Sending money to Australia can be challenging and expensive, especially when making regular bank transfers. Not only money but time matters. Western Union estimates up to 7 days to complete a transfer of 1000 USD to Australia. So how to send money from the USA to Australia avoiding high fees and slow delivery? Fortunately, three are better options provided by well known and trustworthy P2P providers like TransferWise and CurrencyFair. Let’s dive deeper into the topic and see what do they offer comparing to your bank and Western Union. 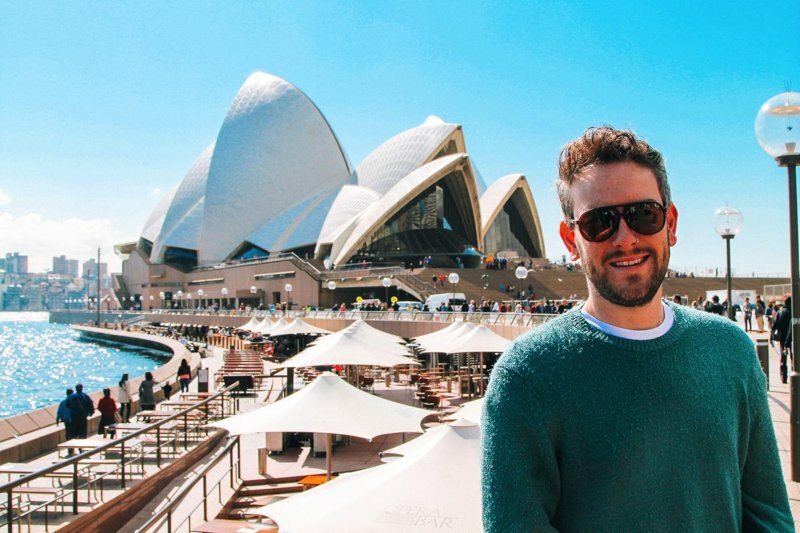 What is the cheapest way to send money to Australia? It’s not cheap to actually transfer money in between the USA and Australia and this is the reason why it is soo expensive and slow if you ask your bank to make the transfer. Peer-to-peer providers solved this problem by exchanging money in between persons in the same country. This way money doesn’t actually cross borders but go from one person to another in the same country. This may sound a bit complicated but all you need to do is to deposit your money to the provider’s bank account and specify recipient’s bank account. The rest will be done by the payment provider. Register an account. Be ready to have a scan or photo of your ID and latest utility bill on your name and with your actual home address. You can submit a copy of the passport, national ID card or driver’s license as your photo ID. Initiate the transfer and deposit funds to the bank account that will be given by the provider. You will need to provide recipient’s bank account number, name and destination country. TransferWise will also allow you to deposit with debit or credit card, but it will be a bit more expensive comparing to regular bank transfer. Typically money arrives at the provider’s bank account within few hours (or few minutes when you pay with a card). Once they have your money they will start conversion process required to complete the transfer. Normally the entire process takes 1-2 days. It has been observed that TransferWise completes most of the transfers to Australia the same day if you send money in the morning. Let’s compare fees and delivery time of different payment options to figure out how actually you can save when sending 1000 USD to Australia. As you can see the difference is very noticeable and obviously, TransferWise outperforms the rest of competitors offering the lowest fee and the quickest delivery time. Note, when I speak about fees I also take into account margin added on top of the exchange rate. CurrencyFiar takes the second place and still offers a good deal. It’s just a little bit more expensive comparing to TransferWise and is a bit slower. On the other hand, Western Union already asks 47 USD to transfer the same amount and make you wait up to 7 business days. Bank transfer is the least attractive option for this comparison. With enormous fee around 70 USD and approximately 5-7 days delivery time. 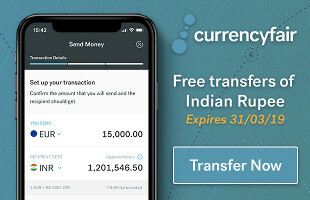 Can I trust money to TransferWise or CurrencyFair? This all sounds very nice to be true when comparing advantages of P2P payment providers with traditional ways of sending money abroad. But are these P2P providers safe to use? Yes, TransferWise and CurrencyFair are absolutely safe to use. TransferWise is London based company that was founded in 2010 by Estonian expats. They are the relatively big company with around 600 employees working from around the world. According to CrunchBase, TransferWise received impressive $396.4M total funding from various well-known investors. Virgin Group, Institutional Venture Partners and Andreessen Horowitz are just a few of them. The company is officially licensed in the UK by the Financial Conduct Authority under the license No. 900507. That means they operating legally and had to apply security means as required per regulations. That includes keeping customer’s funds in segregated accounts that are fully isolated from company’s own bank accounts. CurrencyFair is the Irish company based in Dublin. The company has been found in 2009 that is just 1 year earlier than TransferWise. They are smaller and have around 60 employees working in Ireland, Australia and the UK. So far they managed to raise $24.5M in total funding mainly from Enterprise Ireland and Octopus Ventures. CurrencyFair is regulated by the Central Bank of Ireland under license No. 419450. Additionally, they got licensed in Australia by ASIC under the license No. 402709. That also proves that the company is operating legally and has implemented high-grade security for their service. TransferWise consistently maintains very good reputation among their customers and keeps “Excellent” 9.2/10 score at TrustPilot. More than 42000 customers left their feedback that makes the score statistically trustworthy. People mainly highlight a great quality of service, reliability and very reasonable fees. If you read through customer reviews you can find a tiny percent of people who left negative complains. Typical problems are a delay of the transfer or money not arrived at the destination. The most likely reason for that is a typo in recipient’s bank account number or incorrect deposit to TransferWise. I see in all cases TransferWise representatives try to assist and reply to negative comments at TristPilot website. CurrencyFair also has a very good reputation and more than 2500 customer reviews at TrustPilot. Their TrustScore is 9.3/10 that is excellent value. Here you can find a similar type of comments posted by satisfied customers. The fees are low, quality of service is great and delivery time is good as well. There are some people who find the transfer process a bit overcomplicated. I also found a couple of complaints about lost money that didn’t reach the destination. Similarly, CurrencyFair tries to resolve problems and replies to negative reviews at TrustPilot. As you can see there are many options available for sending money from the USA to Australia or the way around and covered just few of them. If you still use banks or companies like Western Union then you should definitely consider trying TransferWise or CurrencyFair. It’s very easy to start and your savings in time and money will be noticeable. Not sure? TransferWise will make your first transfer FOR FREE! i’m afraid that whether my card debit in Viet Nam could be recieve money from this service? Hi Anh, you need to provide your local bank account details to your Spanish friend. You can’t get money to the card directly but to the bank account. Hi there i was wondering if your system works with a bank card and if so how do i register with you. Hi David, you can send money with any debit or credit card.